If you are extreme in your attention to detail and take pride in improving the quality of software, we want to hear from you. Komodo is hiring detail oriented Software Test Engineers with an outstanding attitude to join our development team and ensure the quality of our platform. As Software Test Engineer you will participate in all phases of the software development lifecycle. You will be an integral part of the team and responsible for ensuring the quality of our applications and APIs via manual and automated testing. The ideal candidate will extended experience as a Software Test Engineer or Quality Engineer and is comfortable with API test automation and building test frameworks from scratch. 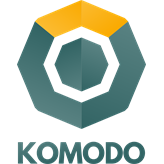 Komodo Platform is a decentralized organization working on the edge of blockchain technology innovation frontier. You will be joining the leader organization in Atomic Swaps and p2p decentralized exchange technologies.